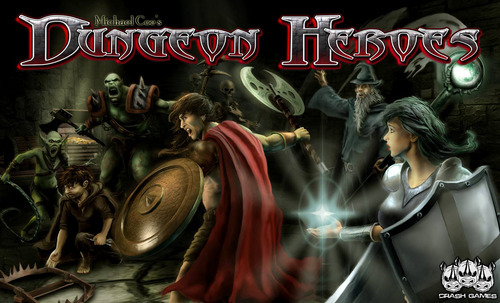 Abstract: Dungeon Heroes is a two player dungeon crawl with a bit of strategy. The Heroes, each with a unique ability, are attempting to capture three treasures. The Dungeon Lord, using traps and monsters, is trying to kill the Heroes. It’s fun and best of all, lasts about 30 minutes. This is a preview copy of a game that is currently in a Kickstarter campaign. The components are not what they will be when the game is released. That being said I’ll go over them as they currently stand. The game is made up of a game board with two-sided, a Heroes side and a Dungeon Lord’s side. Between them is a grid of squares. There are 4 Heroes – the Warrior, the Wizard, the Cleric/Healer, the Rogue. The Warrior is the only Hero that can kill monsters. He does this by moving onto a space containing a monster. The Wizard has two abilities. He can move diagonally and he can flip/reveal any tile on the board. The Healer heals any adjacent Hero or herself by two hit points. The Rogue disarms traps. Each is represented by a die that represents the Hero’s hit points. Warrior is a d10. The Rogue is a d6. The Healer is a d8. The Wizard is a d4. There are tiles that the Dungeon Lord places each turn. These are a mix of traps and monsters. There are two phases to the game – the Passive and Aggressive. The Passive phase occurs first. 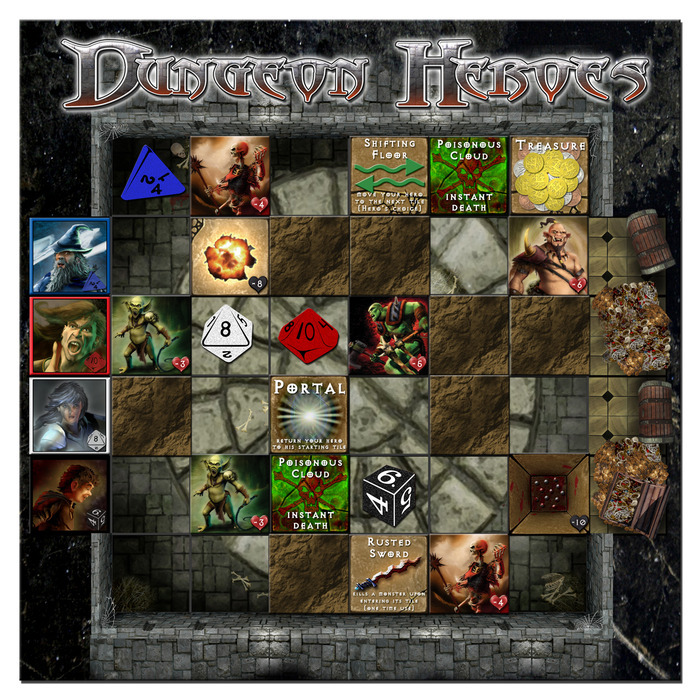 Each turn the Dungeon Lord places four tiles and the Heroes take four actions. The game begins with the Dungeon Lord placing four tiles face down anywhere he likes. The Heroes then take a turn made up of four actions. A Hero may only take two actions per turn. These actions can be a mix of movement or abilities. These turns continue until the Dungeon Lord has placed all the tiles. Then the Aggressive Phase begins. The monster tiles are replaced with tokens and are now moved by the Dungeon Lord. The monsters will attack the Heroes when able. Play proceeds until all the treasures are captured by the Heroes or they are all dead. The first thing I will say about Dungeon Heroes is that it lives up to its tagline “The Lunch Time Dungeon Crawl”. The game is teachable in 5 minutes. It lasts less than 45 minutes, more often than not less than 30 minutes. In that thirty minutes you get the feel of its bigger, more labor intensive dungeon crawl cousins. The Hero player gets to kill monsters, cast spells, and find treasures. The Dungeon Lord gets to ‘build’ the dungeon and prevent the Heroes from stealing his stuff. It is accessible to a wide age range. While the current version of the rules need refinement (it is a playtest version), they are easily understood and I’m sure that the final version will be smooth. Having said that, my 10-year-old son loves this game. He has already started creating hacks and maps for the game for different dungeon styles. One aspect of the game that is not mentioned in the rules is that it can be played solo. All you have to do is shuffle the Dungeon Lord tiles face down and place them that way. The dungeon remains a mystery until a tile is revealed. This is how I played the first time and it is enjoyable. The Kickstarter campaign is up and running. You can find it here. The backer incentives are pretty nice. There are two planned expansions that will include new heroes and/or monsters. Stretch goals include meeples/tokens for the heroes and monsters. The entry-level price is $25. This is a reasonable price for what I’m anticipating in the final game. For $40 you will get the two expansions, The Dragon & The Damsel and Lords of The Undead. Not too bad. Results – Final thoughts on Dungeon Heroes. I like this game quite a bit. It is a good dungeon crawl for when you don’t have 2-3 hours to devote to the game. It’s a good filler game for two people. You will get a good flavor of a fantasy rpg without the huge investment of time. I give Dungeon Heroes 4 microscopes for replayability. The different tiles can be arranged in so many ways you don’t have to play the same game twice. I can’t comment on the production of the final game as it is not available yet. 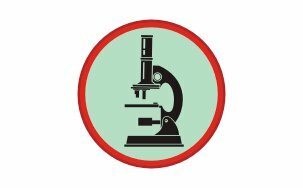 I give the game 2.5 microscopes for depth. The game is relatively light but does have some strategy and tactics as each player has to try to figure out what the other is planning. I give Dungeon Heroes 2.5 microscopes for ‘Haunt Factor’. I enjoyed the game and wanted to play it again immediately (and did). But it didn’t follow me around for very long. Finally I give the game 4 microscopes for ‘Fun-density’. As I mentioned, the game takes 5 minutes to teach and 30 minutes or less to play. It gives a solid dungeon crawl experience on top of that. The amount of enjoyment in proportion to the time investment is high. Question of the Month – Where are all the new game mechanisms?